I am not sure why but all of a sudden I was craving for Lebanese food. 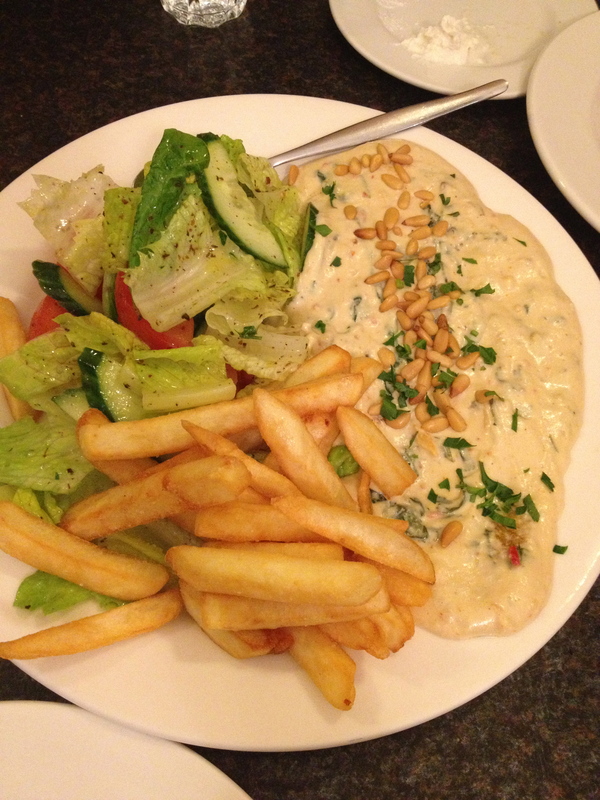 So I was searching for a Lebanese restaurant in Perth and stumbled upon the Prophet Lebanese Cafe in Victoria Park. We arrived at The Prophet early on a cold Friday night and were lucky to get a table without making a booking. I would recommend making a booking at the Prophet to be safe as the restaurant is quite small and it can get busy, especially on weekends. 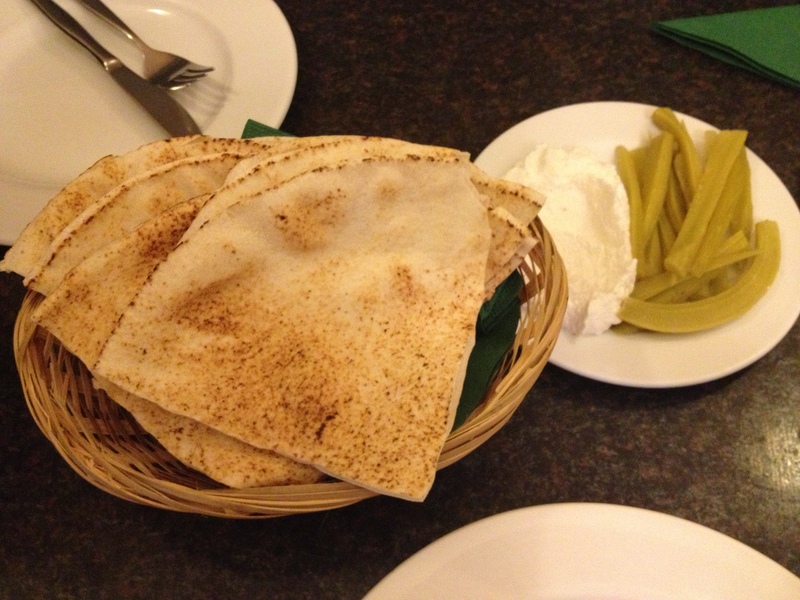 To start off our dinner, the waitress brought out our complimentary lebanese bread, labneh (yoghurt) dip and pickled celery. The lebanese bread looks similar to a pita bread and came with a pocket to put your filling of meat in. We also ordered the hommos dip ($10) which is a dip made out of chick peas and mixed with tahini, lemon and garlic to give a fresh taste to the dip. 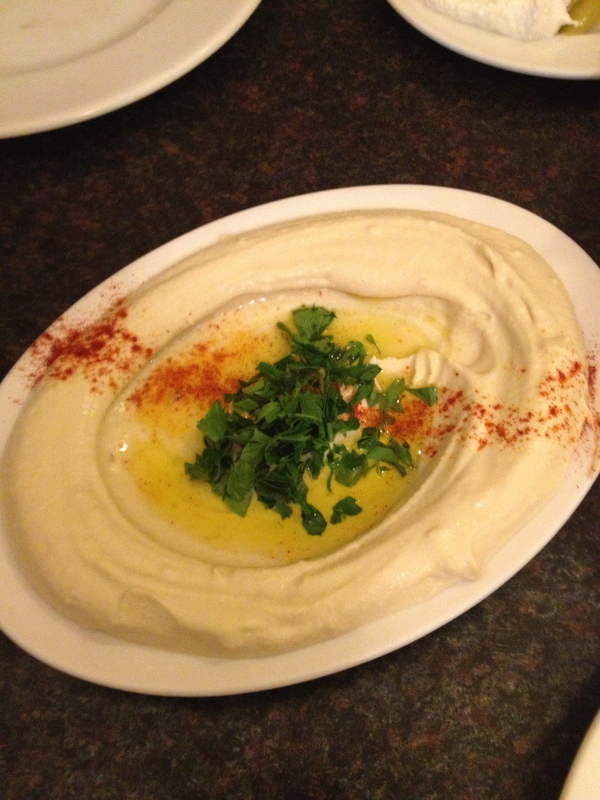 The hommos dip is probably one of the best hommos dips in Perth and goes nicely with the Lebanese bread. It reminded me of my trip to Jordan, Israel and Egypt where most of the restaurants over there served Lebanese bread, hommos and other dips too. After having some Lebanese bread and reserving a few for the mains, our mains arrived. We decided to share our mains and we ordered the Lebanese Sausage ($12), Hot Fish ($24) and Arnabeet ($13) upon recommendation from the waitperson. 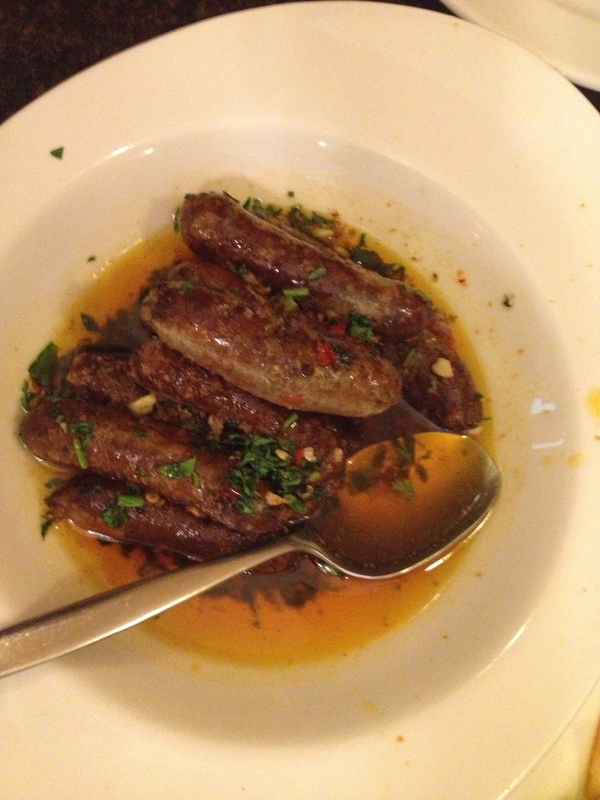 The Lebanese Sausage was very delicious and there was a hint of spicy-ness as well. The Hot Fish was bursting with flavour as it was cooked with garlic, tahini, chili and coriander sauce. It was a generous portion of fish which came alongside with salad and chips. 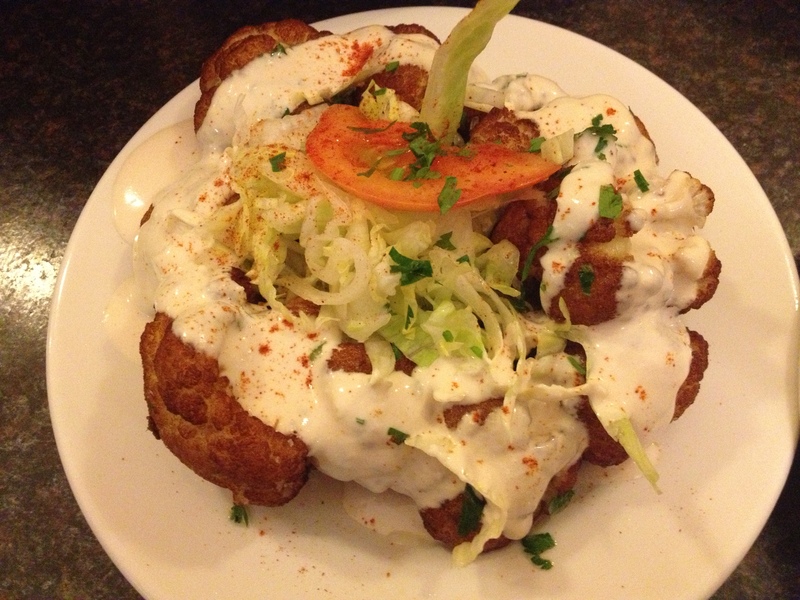 The Arnabeet comprise of a deep fried cauliflower with tangy tahini sauce. It was tasty and the caulifower was crunchy which blended well with the tahini sauce. When we finished our mains, dad suggested that we order the Lebanese Coffee and some baklavas for dessert. 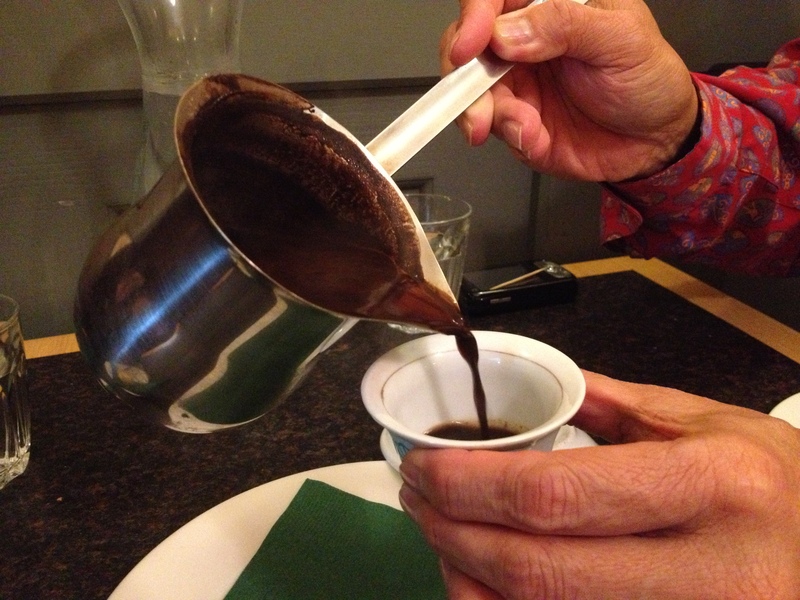 The Lebanese Coffee is similar to Turkish Coffee as the coffee is quite strong and dark. I thought that it was going to be hard to drink but turns out that it was not too bad. Although I am not really a big fan of coffee, I actually enjoyed the Lebanese Coffee. If you want to try something different, I recommend you to go for the Lebanese coffee. The Prophet also offers a few popular Lebanese desserts. 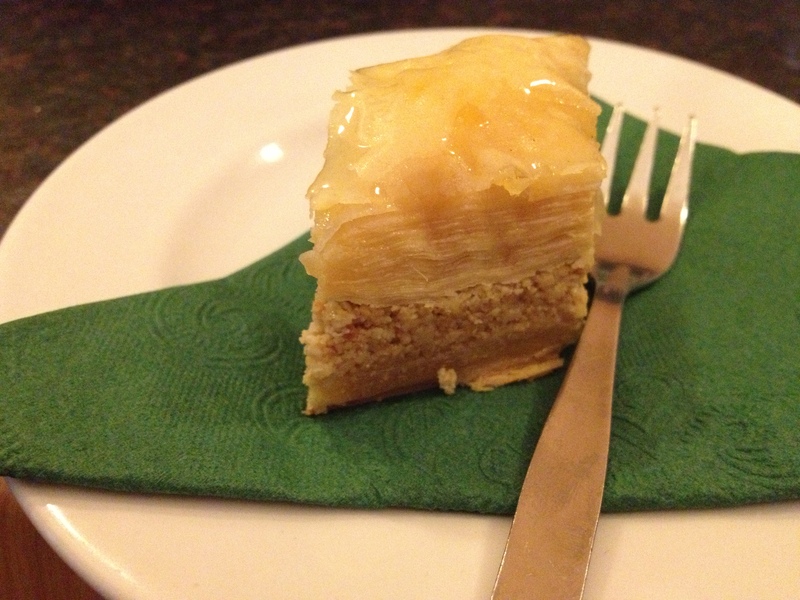 We each ordered a Baklava which comprises of a layered filo pastry filled with nuts and steeped in Attar syrup or honey. The Baklava was perfect and not overly sweet.